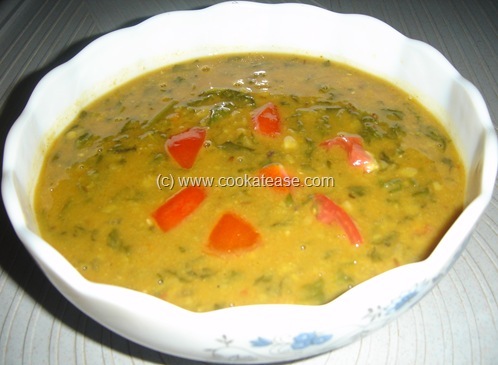 Here I have prepared Palak with Toor Dal. It is easy to prepare and is liked by all in my family. Boil toor dal well; mash and keep. 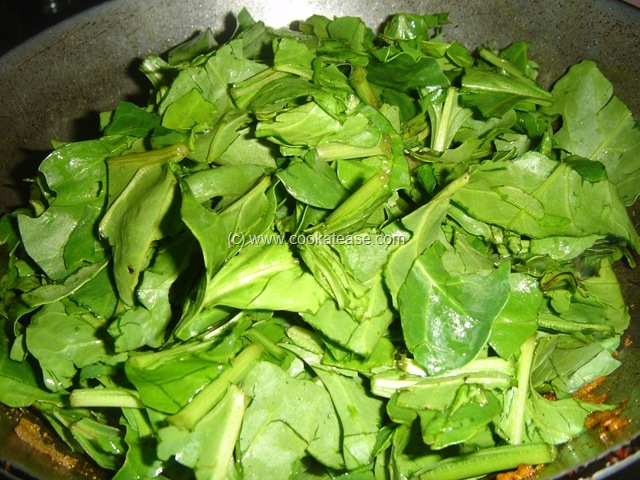 Heat a pan with oil and do the seasoning; add chopped onion and fry till transparent; add tomatoes, ginger garlic paste and cook till soft; add all dry masalas, salt and mix well; add the cut palak and cook till palak is soft; palak takes very less time to cook. 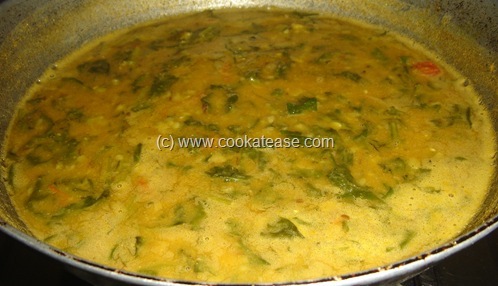 Now add boiled toor dal and one cup of water (or adjust consistency as per your choice); boil for 3 to 4 minutes. 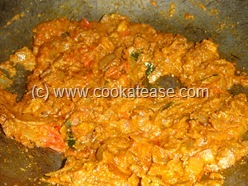 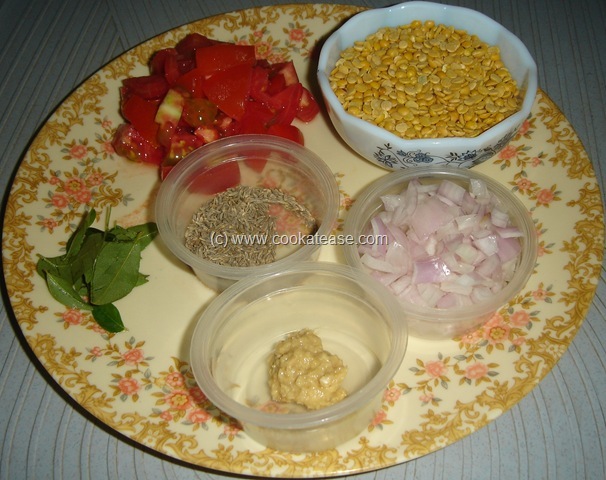 This can also be prepared with split green gram. 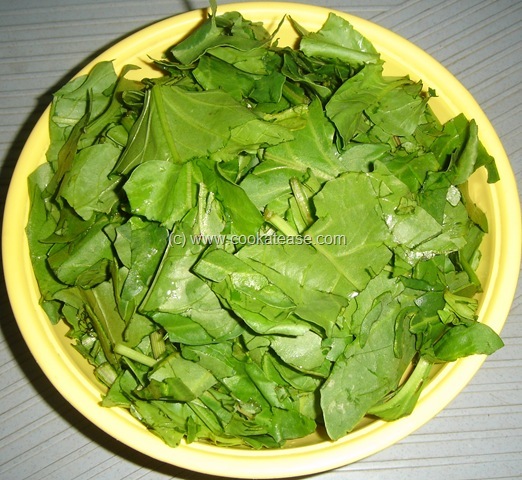 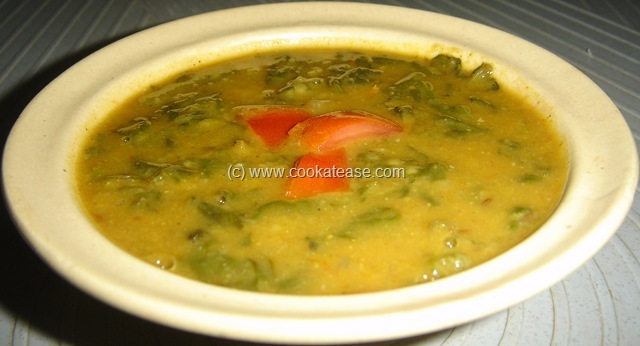 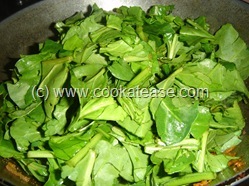 Such a delicious palak dal…looks yummy..